Must the perceived cure for what legislators believe ails society always be the enactment of yet another law? The notion that more laws are needed to save us from ourselves is more alarming when the proposed laws are ill-conceived amendments to a constitution. A proposed prayer amendment to the Missouri Constitution will be on the ballot this August 7th. Well, that’s not entirely true, for citizens will only be provided a “summary” of the proposed amendment upon which to vote. The devil is always in the details. No doubt, many legislators were motivated by pure grandstanding. On the other hand, I am sure the motives of many were legitimate and well-intended. I am a Christian. I cherish our freedom of religion, believe in the power of prayer, and will forever resist the attempt of some to take this Nation in a godless direction. Yet, I believe this ballot initiative is a bad idea. Unfortunately, it is a bad idea that must be passed for reasons surely unintended by its authors. The language of the actual amendment adds over 350 words to the Missouri Constitution. 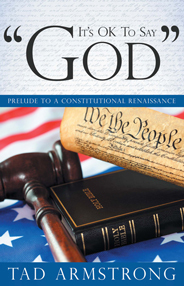 Folks, it only took the Framers of our Federal Constitution 16 words to adequately express the notion that Congress may not make laws “respecting an establishment of religion” nor prohibiting the “free exercise thereof” and the same provisions have been applied by the Supreme Court to limit state and local government. Need I inform what a hay day lawyers will have when handed over 350 new words to fight over? The amendment provides that the state shall ensure that any person shall have the right to pray individually or corporately in a private or public setting so long as such prayer does not result in disturbance of the peace or disruption of a public meeting or assembly. This is already the law. The amendment provides that citizens shall have the right to pray on government premises and public property so long as such prayers abide within the same parameters placed upon any other free speech under similar circumstances and that governing bodies of political subdivisions may extend to ministers the privilege of offering prayers at meetings. The foregoing is a fair summary of existing law. What will citizens conclude if this does not pass? 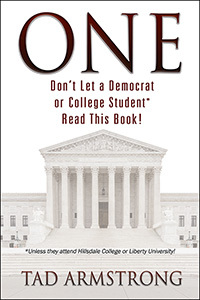 The amendment provides that the state shall ensure public school students their right to free exercise of religious expression without interference, as long as such prayer or other expression is private and voluntary, whether individually or corporately, and in a manner that is not disruptive and as long as such prayers or expressions abide within the same parameters placed upon any other free speech under similar circumstances. In the 1985 case of Wallace v. Jaffree, our Supreme Court said: “Nothing in the Constitution prohibits public school students from voluntarily praying on their own at any time before, during or after the school day.” It’s already covered. I can agree, however, with displaying the text of the Bill of Rights in “public schools” and, although I am unclear why private schools were not included, the First Amendment, as interpreted by our Supreme Court, is more than sufficient to “remedy” the ills thought to be of concern in Missouri. No law is going to overcome an apathetic and ignorant citizenry. If we were educated and insisted on our rights with our elected school boards and legislators, none of this would be necessary. Unfortunately, in spite of some serious unintended potential ramifications of passage, I shudder to contemplate the fallout of failure, for Missourians would then be led to believe that much of the intent of this amendment is not already sound law.